One of the finest training Institute. I personally experienced the facilities and a healthy environment. The faculty is very experienced and helpful. They focus on Practical training. 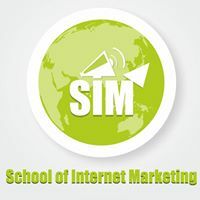 I would definitely recommend this institute if you want to start your career in Digital Marketing. Best institute for learning Digital Marketing . Passion Never Fails - Do the Digital Marketing..!! I Want to share my Personal experience about SIM.